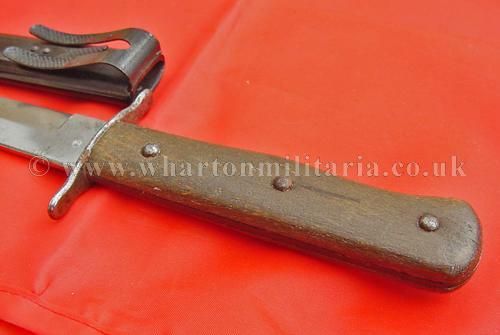 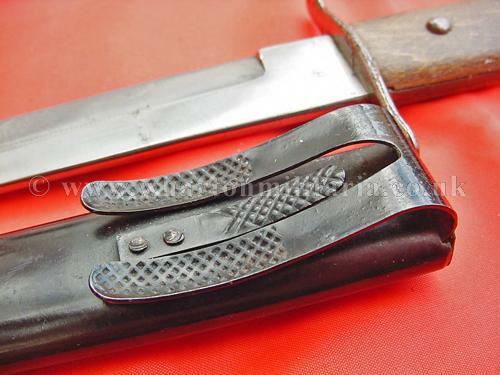 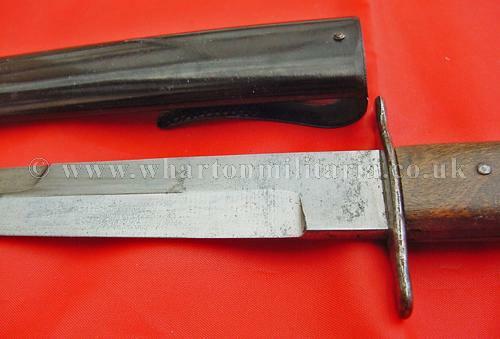 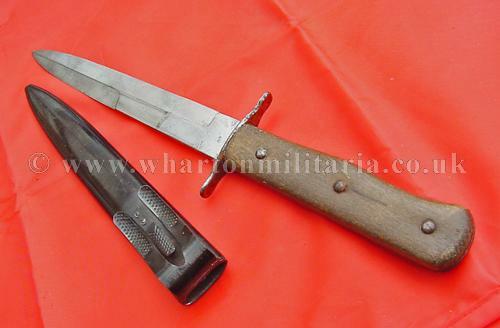 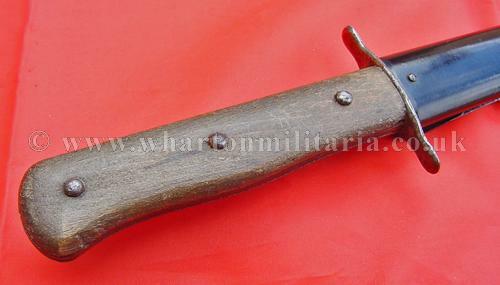 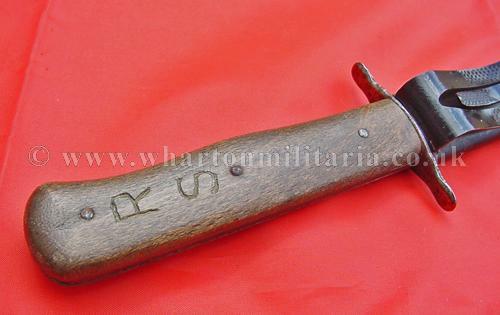 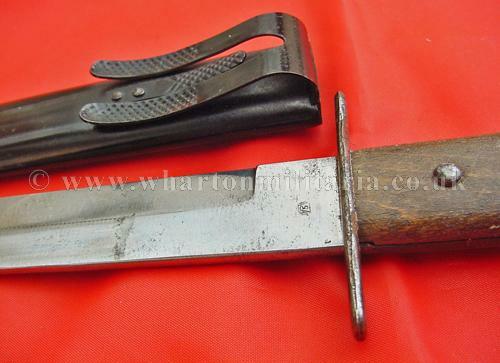 A scarce and sought after Luftwaffe issued boot/fighting knife - 'Kampfmesser der Wehrmacht Luftwaffe' - plain brown wood grips with 3 rivets through each side, grips have been initialled at some point, most likely contemporary, straight cross guard. 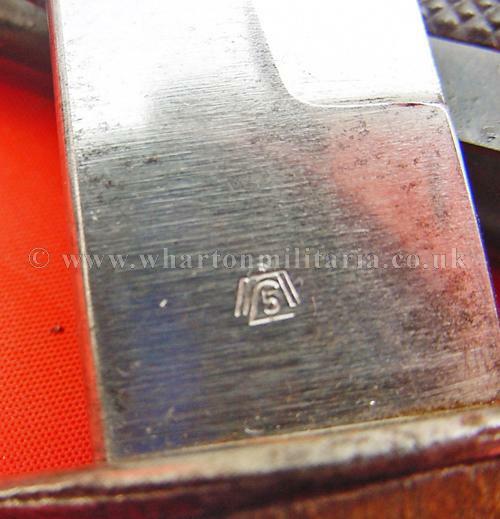 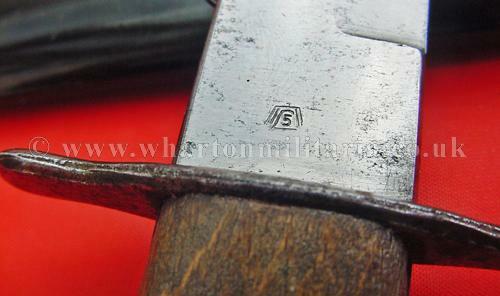 Blade is in excellent condition with no re-sharpening or adverse use, and marked with the Luftwaffe acceptance 'stick bird' stamp of an 'eagle 5'. 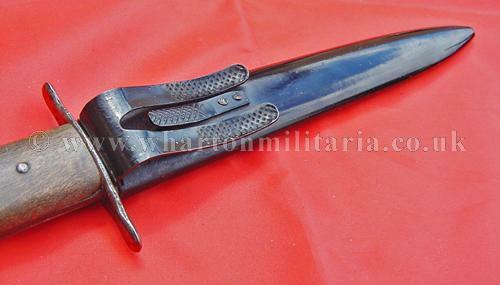 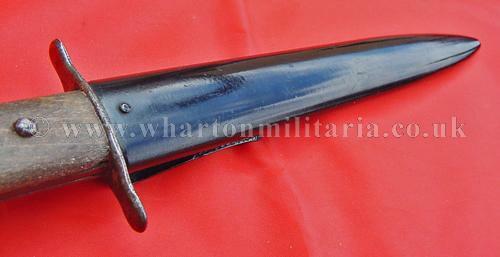 Scabbard retains its full black paint finish with the spring boot clips undamaged and strong. 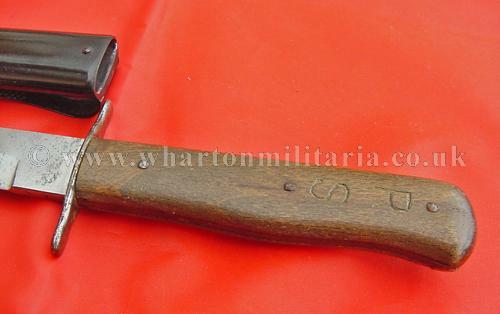 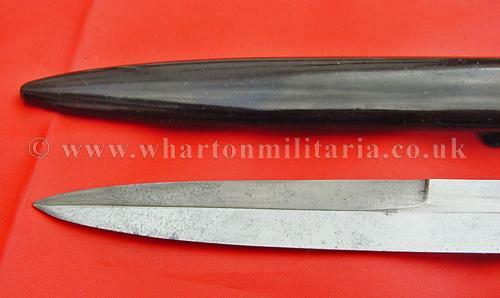 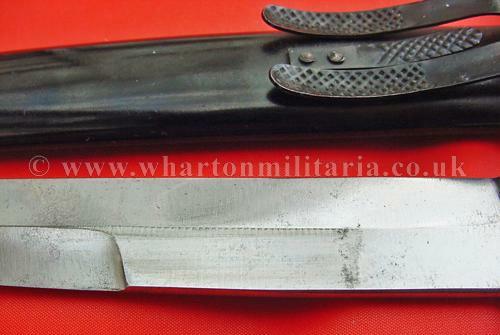 An extremely nice boot knife, never been messed about with and a nice original example, a local bring back. 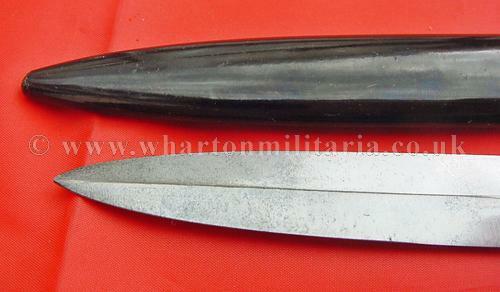 A very sought after knife with collectors.